We deliver innovative award-winning programmes that motivate, excite and challenge your employees, resulting in better communication, collaboration, stronger bonding and an increase in trust. Operating in the Asia Pacific region for over 16 years, we have a reputation for designing and delivering first-class innovative, team building solutions. We produce highly-customised programmes and large-scale event-based team building for meetings and conferences. No event is too small and no number of participants too large to benefit from the Team Building Asia experience. Managed by a team of experienced and professional facilitators, our programmes have been proven to boost workplace cohesion and can be tailored to your organisation’s specific requirements. Our experiential events are applicable to any organisation — large or small — whether they be government, commercial or non-profit. We have a reputation for being the most professional and reliable team building solutions provider in the Asia Pacific Region, demonstrated by the awards we continue to win. Want to know the benefits Adidas, Coca-Cola, DHL, InvestHK, KPMG and SIEMENS have gained from working with us? Take a look at our client testimonials and case studies - they speak for themselves! 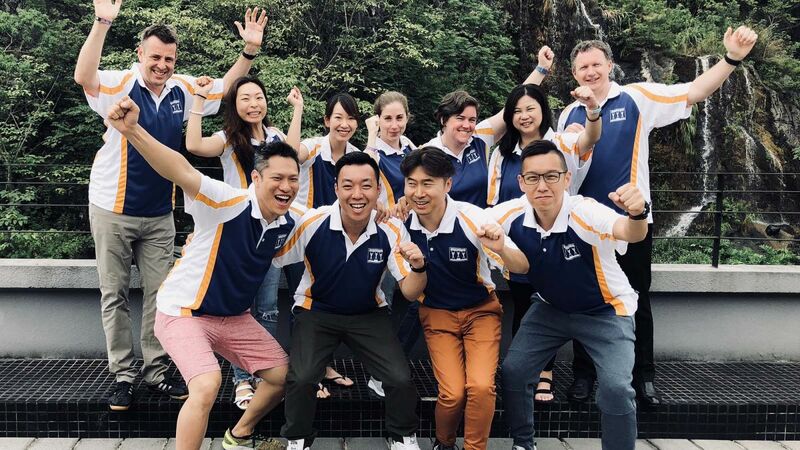 With offices in Hong Kong, Singapore and China and a dynamic team of experienced English, Cantonese and Mandarin facilitators, we are fully equipped to hold team building events across the entire Asia Pacific region. We play an active part in sustaining our environment and community. Learn more about our social responsibility.